Putting your gifts on layaway this season is a great way to do your holiday shopping and a budget-savvy way to keep your spending in check. With all of the holiday parties and gift-giving, it can be hard to have a happy holiday. 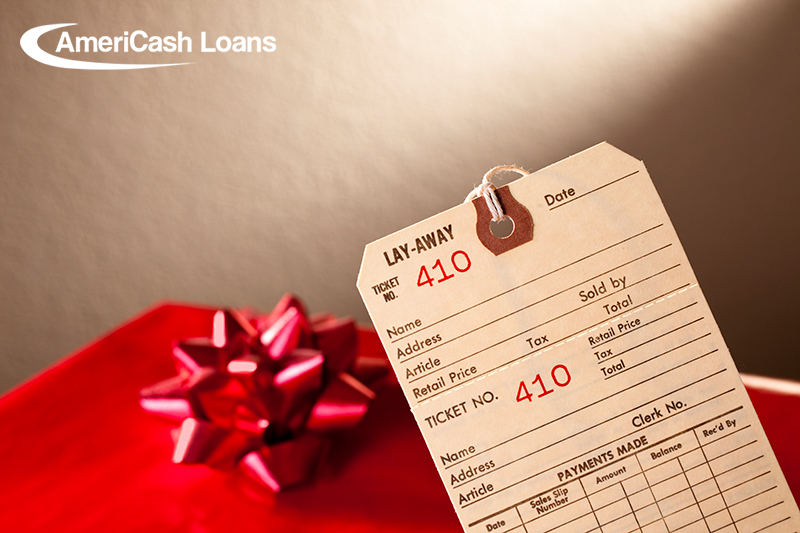 Before you start crossing things off of your shopping list this year, here is what you need to know about layaway. Layaway is when a store holds an item for you until you can afford to pay the full amount. Layaway first started before credit cards were commonplace as a budget-friendly way to do all of your holiday shopping even when you’re short on cash. Many still prefer to use layaway today as an alternative to paying with credit cards. If you already planned on getting your holiday shopping out of the way early, good for you! If not, here is another reason why you should. The earlier you start your layaway payment the longer you have to pay it off. This means, every time you make a payment, your payments can be smaller, leaving more room in your budget for living expenses. This is especially important if you have a gift list as long as Santa’s. The more gifts you need to buy, the more layaway payments you have to make, so make them smaller by starting early! Don’t assume that every store’s layaway plans are the same. Make sure you make note of when your payments are due, the minimum amount due, and if there is a service fee. You also need to ask if there is a penalty for late or missed payments or if your items will be taken off layaway and returned to the inventory if that happens. Also, find out if there is a deposit and if there is a cancellation fee should you decide you don’t want the item anymore. If you decide to cancel, is there a refund? Can you make your payments online or do you have to come into the store? Be sure to ask for detailed responses to all of these questions. If you use multiple stores for your holiday shopping, make sure you keep track of all of the terms to keep your budget in check. Do you like to do the majority of your holiday shopping online to avoid the crowds? Good news! Layaway is not limited to brick-and-mortar stores only. There are some online retailers who offer layaway plans online too. This means the payments are more convenient and can be made online, as well. Just make sure you know if it is automatically taken out of your bank account each month, or if you have to manually make the payment with a debit card. If you plan on buying a gift for yourself this holiday and want to book a trip, there are also some websites that let you plan your vacation with layaway as well! Do your research to find the best online layaway options for you. You may already know that stores like Walmart, Marshall’s and Sears offer holiday layaway programs, but they aren’t the only ones. Check your local stores for layaway options. Local retailers might be more likely to work with you in close-knit communities even if they don’t traditionally offer layaway plans. They might be willing to help you out since you are trying to support local businesses for your holiday shopping. It can be easy to get caught up in layaway plans and buy too many items since you aren’t buying them full-price all at once. Do not let your spending get out of hand. Stick to a holiday shopping list and your budget to avoid going overboard this year. If you want to splurge on your holiday shopping this year, turn to AmeriCash Loans. We offer stress-free installment loans up to $4,000. Apply online today or find a convenient location near you!